Leeds, UK, 12th July 2018 – BigChange, the mobile workforce management company, today announced that its billings for the first six months of 2018 grew to £5.46 million, a 75% increase on the corresponding period last year. Following a record 2017 in which the company achieved full year turnover of £6.6 million, BigChange has signed more than 100 new customers and secured 3,000 additional users of its mobile workforce management platform so far this year. New customers include Arco, Braemar Shipping Services PLC, BID Group, BioMarsh Environmental, Jackson Fire & Security, PHMG and Snorkel UK. 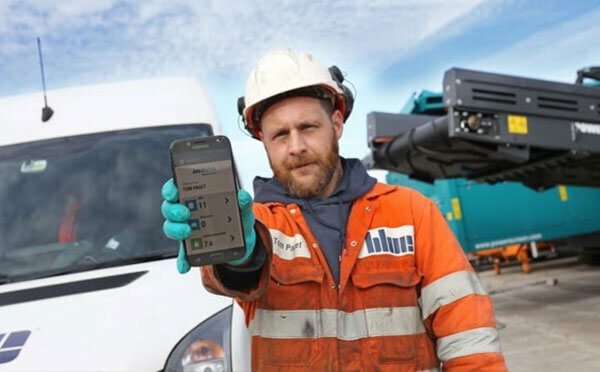 BigChange’s cloud-based platform provides organisations with a range of productivity tools for mobile workers and those responsible for managing them. The unique system includes CRM, job scheduling and vehicle tracking functionality, a mobile app for paperless operation as well as a new on-demand booking app that customers can use to facilitate rapid comparison, service scheduling and payment by their own users. Since its launch in 2013 BigChange has helped monitor and manage more than Eight million jobs and tracked sufficient driving miles to cover over 100,000 trips to the moon. The company has expanded the size of its workforce from 60 to 80 people since the start of the year. Article précédentCEO’s Blog – Go on. Admit it. You’ve been watching Love Island tooArticle suivantCEO’s Blog – How will you be remembered?